Charlotte has a broad range of experience in the field of internet safety – for 10 years she led Becta’s advice and support to Government, local authorities and schools on keeping children safe online. She also worked with Dr Tanya Byron on her review of Safer Children in a Digital World – leading the implementation and co-ordination of the education recommendations in the Review as part of the UK Council for Child Internet Safety (UKCCIS). In April 2010, Charlotte became Director of Practice at the children’s charity – Beatbullying, where she was responsible for the innovative Cybermentors programme, a peer to peer online support service for children and young people. In 2011, Charlotte was seconded to NCA CEOP where she conducted a review of CEOP’s educational programmes and made recommendations to CEOP’s board on the future direction of the Thinkuknow programme which has been delivered to thousands of professionals across the country. In 2013 Charlotte started her own non profit organisation – E-safety Training and Consultancy and she has worked on several high profile programmes and initiatives including the NSPCC’s Share Aware campaign, The It Starts With you online safety campaign from Walt Disney/Club Penguin, Parent Zone’s Parenting in the Digital Age programme, the Keeping Children Safe online safety guide and created the Sexting in schools – what to do and how to handle it document. 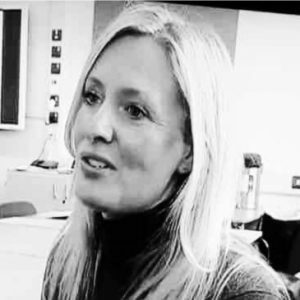 She has spoken about online safety at several key national and international events including the UN and supported local authorities, the police, children’s organisations and international NGO’s in educating parents, children and young people on all things online safety related. In 2016 Charlotte worked with UKCCIS and NCA CEOP authoring national advice on responding to incidents of sexting – Sexting in schools and colleges: Responding to incidents and safeguarding young people. Since the advice has been published she has delivered training to over 400 professionals supporting them in planning their response to incidents of sexting.